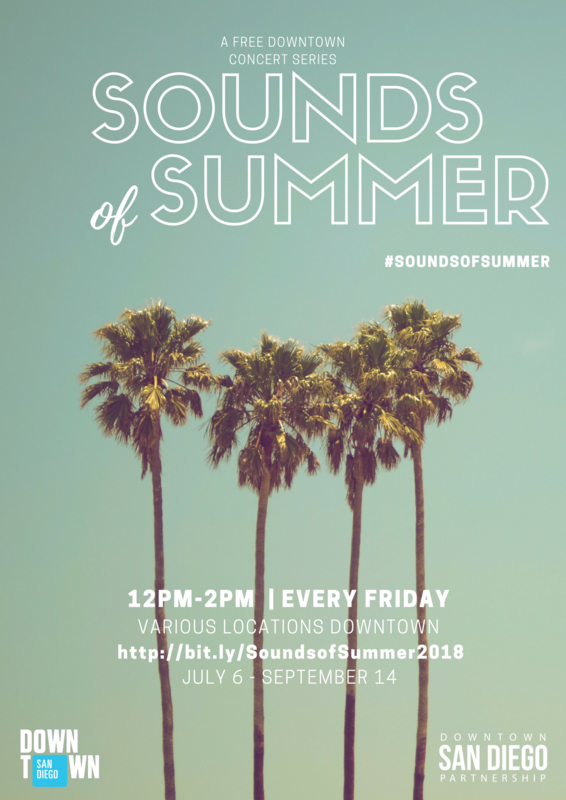 Be serenaded into the Downtown San Diego life with Sounds of Summer! 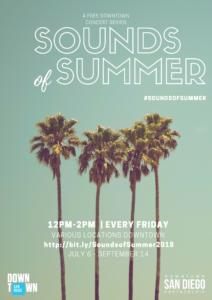 Whether you’re visiting Downtown or looking for an excuse to get outside on your lunch break, enjoy this FREE outdoor music experience every Friday, July 6 through September 14 from 12pm-2pm (locations & musicians vary). Click here for more information!